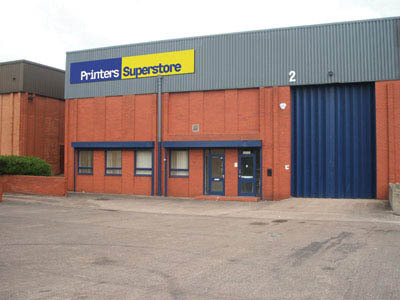 Printers Superstore is established as one of Europe's leading mail order suppliers in the printing + packaging industries, with over 30,000 different products and the worlds fastest growing inventory of replacement parts available. The global Superstore culture brings you high quality products at the lowest possible prices. Many of our products can be shipped from our stock within 24 hours to most European destinations and within 48 hours to the other parts of the world. We can offer a same day service to our UK customers. Why not browse our sample prices to see how much you could save. Better still, why not contact us? Our experienced and knowledgeable staff can help you with any specific requirements you may have. We are sole and exclusive distributor for Hans Gronhi, manufacturer of Gronhi and Sanxin presses in both the UK and Ireland. Due to our international reputation for the supply of quality replacement spare parts and rollers, Printers Superstore has naturally progressed into the supply of Pre-Owned Ryobi Presses. Every preowned printing machine offered to Printers Superstore under goes a thorough examination, and only machines which conform to our very high exacting standards are purchased for re-sale. All our refurbished Ryobi machines are offered with installation, training and warranty, and backed by ISO9001:2000 quality assurance. We actively encourage our customers to visit our machines at our premises in Leeds, where a full demonstration of the machine is available from experienced Ryobi print demonstrators. Printers Superstore is a specialist in pumps used by all press and packaging manufacturers, as well as those found on finishing equipment..
A pump loan service is available should your pump require a workshop repair, ensuring pump failure does not cripple your business. In addition to offering machines for sale, we have a fleet of machines available for hire with a range of packages available. Our philosophy of customer satisfaction ensures our customers enjoy a relationship where they receive the highest standards of customer care, not only whilst they continue to own the refurbished machine but beyond, with automatic membership to the Printers Superstore Partnership Program. We simply want our customers to return for their next press – and they do ! We recognise that in todays economic environment finance can be required to make the purchase, and to meet these needs, we have established special relationships with selected finance companies, who can offer a personal tailored service to meet our customers individual needs. With over 50 years MAIN AGENT experience gained by senior management we have established Printers Superstore as am internationally recognised Ryobi used machine specialist, supplying superior quality Ryobi printing presses. Adding to this reputation is the fact we are the sole UK supplier of new Hans Grohni presses.